A bill that will provide oversight of two dozen Washington continuing care retirement communities (CCRCs) has been approved by state lawmakers. The bill is among a wave of legislation that aims to increase regulations on CCRCs nationwide. Current state laws in Washington do not regulate CCRCs, but assisted living and skilled nursing components of facilities must meet state licensing standards. If signed by the governor, the new law will affect two dozen Washington CCRCs by establishing standards that these facilities become certified with the Department of Social and Health Services. The law also requires CCRCs to provide prospective residents with specific information about the community in a disclosure statement. One of the top drawbacks of CCRCs is the complexity of some of the contracts that seniors have to evaluate, the New York Times recently reported. This legislation would provide some oversight with new statement requirements. The third component of the measure will establish rights for CCRC residents, which will be required to be posted within the facility. Compared to other other proposed legislation across the country that would change entrance fee models through increased regulations, the regulations approved in Washington appear to be more moderate. Earlier this fall, a bill in California was approved by the state legislature that would have put new regulations on entrance feel models. Other states, such as Connecticut, have taken a less aggressive approach to increasing CCRC regulations with a basic bill of rights for residents to better understand CCRC contracts. Industry groups have found the Washington law—which also includes a resident rights measure—to be somewhat tame, with commonsense protections. 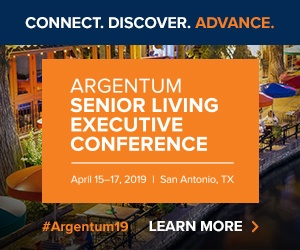 The national association of senior living providers Argentum also agrees that the bill’s transparency efforts are a step in the right direction for the industry. The bill passed with a unanimous vote (47—0) and will be sent to the governor’s desk for approval. With a unanimous approval, the bill is expected to be signed into law.